Taking care of your teeth is one aspect of the Apple Wellness Center we feel very strongly about. 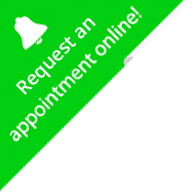 Our experienced emergency dentists are available for patients in and around the Airdrie, Alberta and Calgary area, so no matter what work you need doing, you can be sure that our expert staff are able to give you the smile you deserve. Located on the ground floor of the Apple Wellness Center, our dental practice is headed by Dr. Sanjay Rajpal D.D.S and his associates Dr. J Choi and Dr.N.Khosla. Dr. Rajpal has been providing dental services to patients since 1992. There are very few who enjoy visiting the dentist and very rarely is it an enjoyable adventure for the entire family. Our warm environment and relaxing atmosphere, however, sets us apart from other dental practices and we truly believe that our community-oriented ethos is what makes us an excellent choice when you need to see an experienced dentist quickly. Our family friendly clinic provides cutting-edge technology and techniques to ensure you get the best service, quickly, without any stress or hassle. Ensuring you receive quality service, we provide all aspects of general dentistry, including implants and implant-retained partial dentures. Implants are used to replace missing teeth with attached teeth that look entirely natural. Dr. Rajpal has been performing implant treatments for well over 10 years now. The procedure has been proven to be a excellent way to replace missing teeth and restore your chewing ability. We are currently accepting new patients at our clinic. If you’re interest in joining our family, call us on (587) 332 6767 extension 1 or contact us through our website. We also have a wide range of different medical and cosmetic treatment services that be suited to you. We look forward to hearing from you. We believe in making dentistry as comfortable, rewarding, and hassle-free as possible for all of our patients, no matter their ages nor the type of dental treatment they need. Professional strength tooth whitening in the comfort of your own home. You will experience no sensitivity and it is completely enamel safe. Visible results in 20 minutes! We have been providing in house implant services since 2007. Using advanced CT equipment (3D x-rays) we can plan your implant surgery virtually on a computer and place implants extremely precisely using Computer designed guides.